Are You Tired of Wasting Strokes? This is a Free Webinar on How To Get Yourself Out of the Way so you can play better golf, have more fun, and learn what the pros know about how to win! How to identify if you are getting in your own way. The signs of mental and emotional trouble. Dr. Ron Mann is a Best Selling Author and Peak Performance Coach for the mental game. He is a certified GolfPsych instructor, Honorary Member of the World Golf Coaches Federation, and the Executive Vice President of The Coach Joe Taylor Leadership Institute. 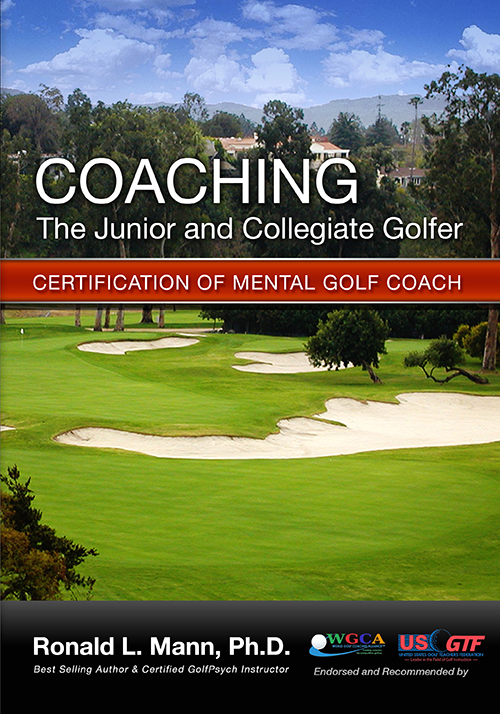 Learning to Win: Coaching the Junior and Collegiate Golfer. 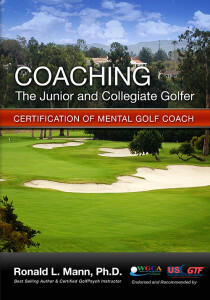 He has also produced the audio CD Program, Find the Zone: Master the Mental Game of Golf. I started working with Dr. Mann to improve my golf game, after listening to his CD’s. I quickly found that his expertise and experience was able to help me in many facets of my life and spiritual growth. His calm demeanor and insight has given me the ability and tools to deal with life’s uncertainties whether they occur on or off the golf course. Please provide the following information and you will be instantly directed to the url to view the presentation.